If you once considered the invention of remote controls a great revolution then the future changes on garage doors will surprise and amaze you! Some scenarios are extreme but then again you never know with technology and never question the intentions and challenges of manufacturers as long as they keep us safe and make our everyday lives a pure pleasure. In any case, we all anticipate the new generation of garage doors and although we don't know their special characteristics, we are all aware that they will provide better security and they will be much smarter and useful. * Our experts share that manufacturers are thinking about ways to take advantage of the huge surface of garage doors and decided that in the near future they will be used as collectors of the sun energy. They might even have inner circuits, which would read the habits of homeowners and the conditions in the natural environment. They might even embody alarm systems and anti-theft measures or cameras. * There are already keypads, which operate doors with the use of fingerprints but scientists already considering openers, which would operate quicker with the sound of a specific voice, the identification of a car or any other personal characteristic. * Today, some openers already operate from a distance through smart phones and computers and this technology is expected to expand and become common among most homeowners very soon. * The sensors are already part of our lives, but tomorrow they are expected to offer moresafetyin a more automatic way. The door in between the garage and the house will open and lock automatically in your presence and the entire mechanism will be the best security system of the house. 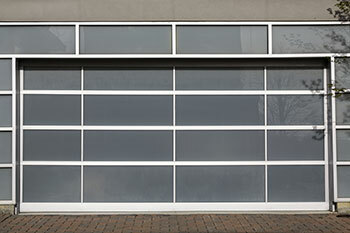 * New doors will warn for their problems, so that you will know when you have to do garage door service and all necessary characteristics of each part will be provided in a computerized form. Most new models of doors will probably be available soon only for a few pockets but as it usually happens, they will become standard models soon and we will be talking about future garage doors again.